TUSCOM assists our clients in their efforts to streamline procurement supply chain management functions and extract maximum value from every dollar in any budget. 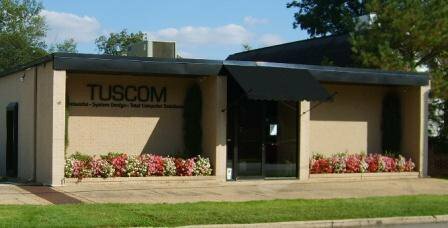 As the largest IT and business-related product and service provider in Tuscaloosa, TUSCOM’s experience and expertise in procurement and supply chain management is unsurpassed. Customers have turned to TUSCOM to gain benefits ranging from greater economies of scale to better management of workflow processes, service level and spend control. This powerful set of service offerings is helping organizations streamline their procurement and supply chains management functions to maximize value. TUSCOM has on hand, at any given time, over 25 configurable workstations, 10 configurable servers, 5 notebooks, 10 printers, and 15 customizable Digital Imaging Systems. Our inventory is always up to date. Our clients do not wait for product. We stock both rack mount and desktop model servers, as well as all the accompanying equipment such as battery backup systems, rack cabinets, power distribution systems, and panels. TUSCOM is large enough to tackle multiple large and small deployments simultaneously, and we do so on a regular basis. An average small deployment can be as little as three stations while larger deployments are over 400 machines. We also offer same-day deployment of systems and same-week deployment of servers. Contact TUSCOM today to learn more.